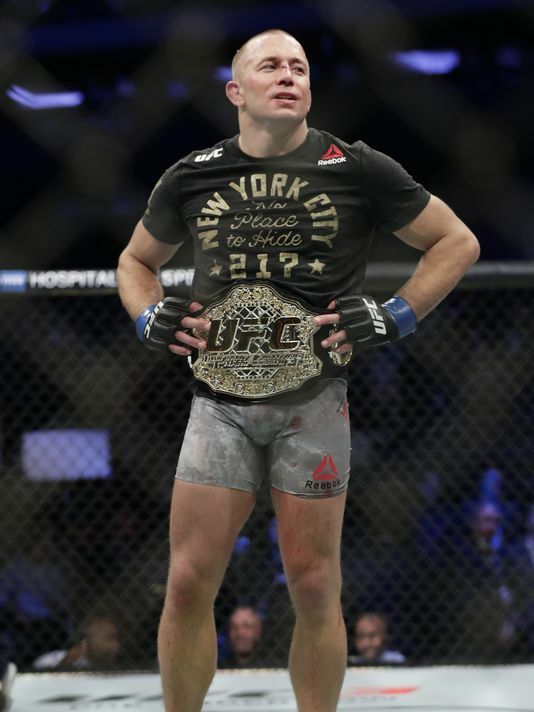 After UFC 217 the mixed martial arts world seemed to get back on the right path, as Georges St. Pierre snatched away the middleweight title from Michael Bisping. With “Rush” back as a champion, the UFC has one of its most popular heroes in a prominent position once again. In an age in which “money” fights are all the rage, it would seem like the UFC would be open to the idea of GSP facing Conor McGregor. However, UFC President Dana White has already squashed that idea, in what would clearly be an epic mistake. White waited very little time to announce who would be next for GSP: current interim middleweight champion Robert Whittaker. “St. Pierre is staying at 185 pounds,” White said on Fox Sports 1 after UFC 217. “Whittaker is next for GSP,” he would later continue during the post-fight press conference. From a continuity standpoint, it’s easy to see why Whittaker would be next in line. The Australian native is currently on the shelf after suffering a knee injury during his UFC 213 bout against Yoel Romero, the fight in which he earned the interim title. He’s expected to return in early 2018, and that timeline seems to support the idea of a unification bout as the next step for the middleweight division. However, despite all that, the UFC has more to gain by leveraging the current hype around GSP and placing him into a matchup against McGregor -- sooner, rather than later. Yes, this plan would grind two weight classes to an immediate halt. McGregor has yet to defend the lightweight title, and there's an interim champion in Tony Ferguson ready to face the Irishman upon his return. During his time as middleweight champion, Bisping didn’t defend the title against any ranked opponents; that created the opening for Whittaker to claim the interim championship. But it’s clear that the UFC isn’t in the business of booking the most logical fights from a rankings and divisional perspective. Instead, the sports entertainment model continues to gain a stronger and stronger foothold as the dominant matchmaking paradigm within the promotion. White has recently begun to push the idea that 2017 has been the UFC's biggest year, and though it can be refuted, he’s drawn a line in the sand. This posture is based on the inclusion of revenue generated by the boxing match this summer between McGregor and Floyd Mayweather. 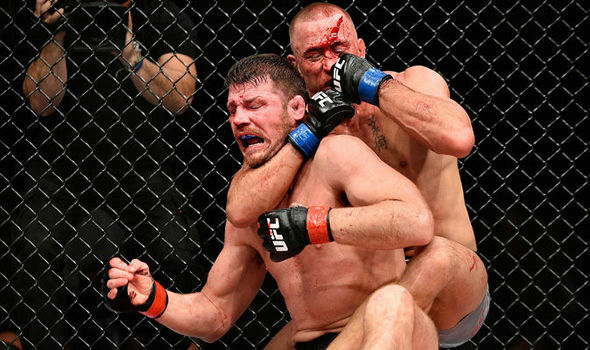 Even though that bout didn’t take place in the Octagon, it was still a massive moment for the UFC. So why would the organization shy away from putting its two biggest stars together in the Octagon in an opportunity to shatter even more records? Both men have competed at 170 pounds. GSP has openly discussed moving back down, as have central figures within his team. McGregor is known for doing whatever it takes to put together the biggest fights available, and garner the biggest paydays possible. Bringing these two men together in Montreal or Las Vegas would be a massive financial success for the organization. 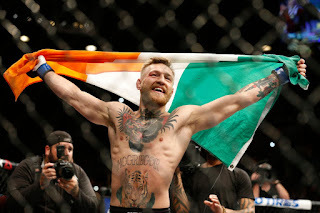 At a time in which the leadership within the UFC is ready and willing to do whatever is necessary to put on the biggest events available, pairing McGregor and St. Pierre seems like an obvious step. According to White, that will not happen. But there are numerous examples of times White has made a statement, only to go back on his word. This statement could become the latest example at some point in the future, and honestly, it should.